Brownies made fun!! 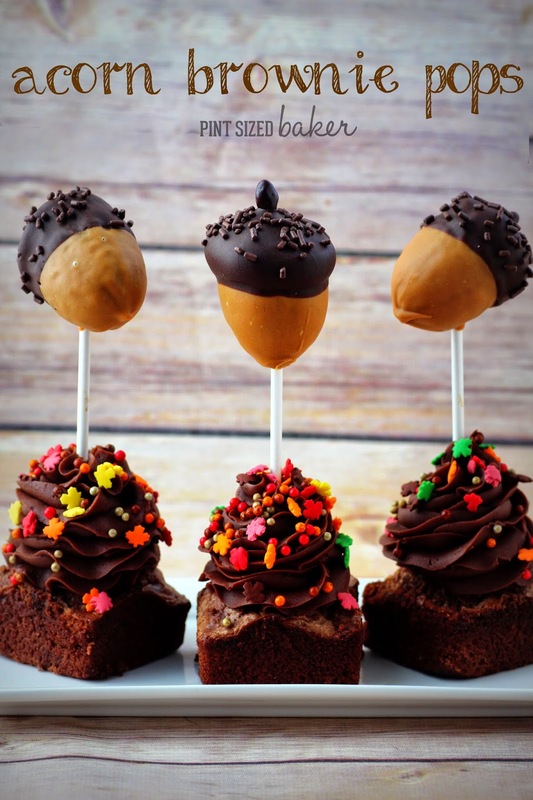 Turn your basic brownie mix into fun Acorn Brownie Pops! 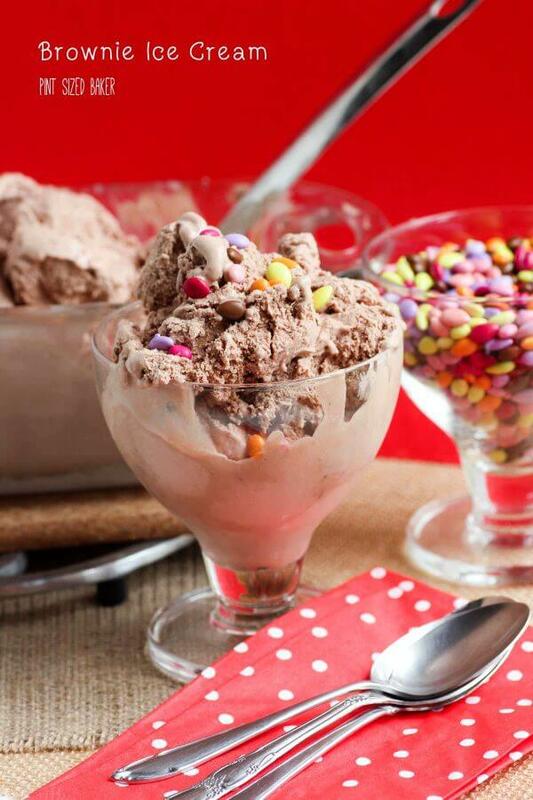 These are so easy to make and the kids love them! I enjoy working with great companies like Mussleman's. 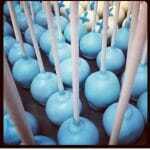 They are helping me maintain my waistline, one dessert at a time! As a novice baker, I’ve learned a few tips and tricks along the way. You should always use your stand-up mixer to whip egg whites. You don’t need all the fancy kitchen gadgets (I’m looking at you funny egg yolk separator bulb-thingy). And you don’t need to always follow the recipe. 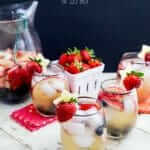 Trying something new can be fun! 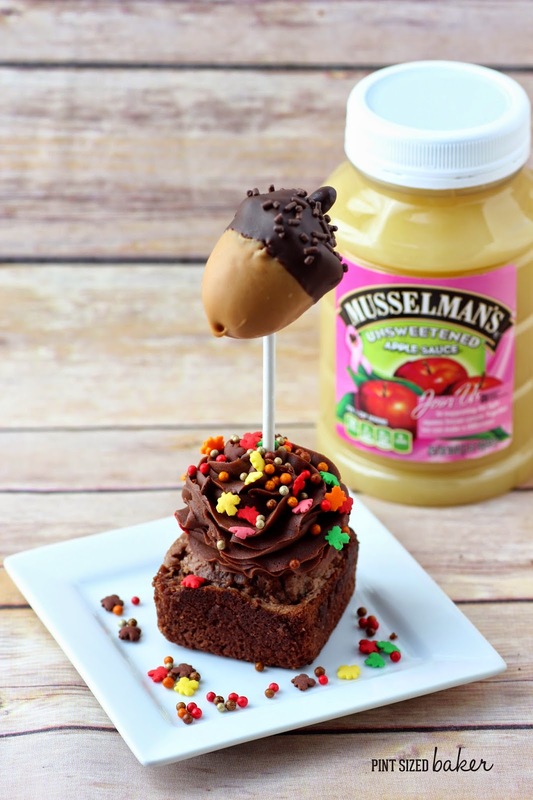 Thanks to Mussleman’s Unsweetened Applesauce, I learned that you can swap out the oil in cookies, cakes, muffins, quick bread and brownies and replace it with applesauce for a fraction of the calories. So I gave it a try. 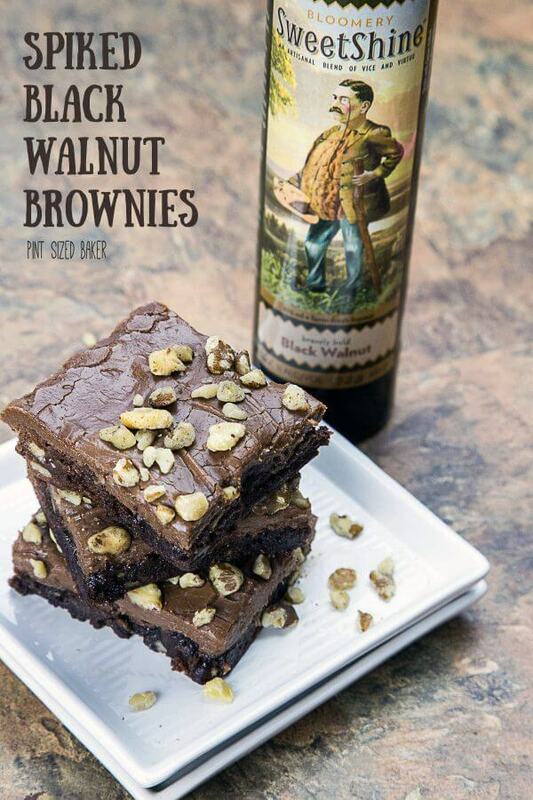 I swapped out my oil for applesauce to make some boxed brownies and the they were really, really good! I found them to be a bit more cake like, but over all they had a nice crumb, a crispy top, and a soft center. Count me on on this! 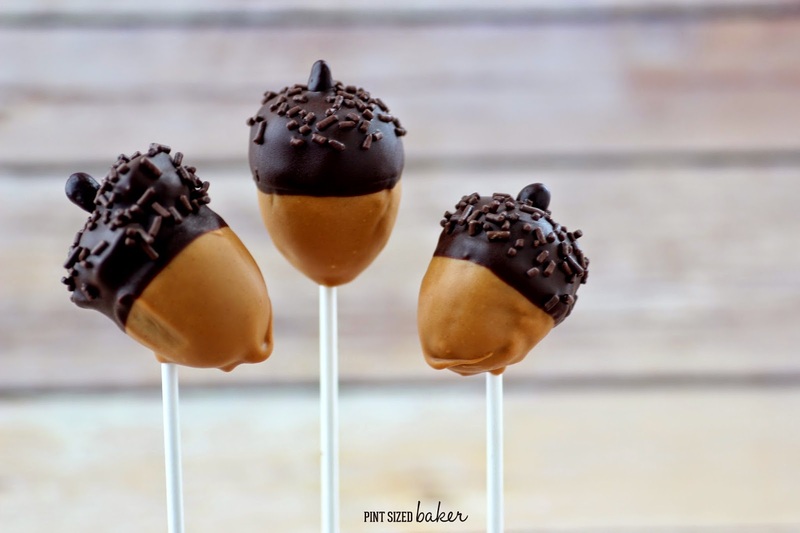 I decided to use my Brownie Pop Mold to create some acorn pops. Didn’t they turn out cute? I was originally going to make some candy corn pops, but after they were baked, I thought they looked more like acorns than candy corn. Feel free to make a bunch of acorns or make some brownies. I split the batter in half and made both. I love my Square Cupcake Pan for projects like this. 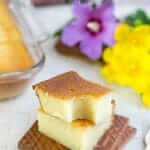 I simply filled the squares with the remaining batter and baked them. Easy peasy. Of course, I saved all those calories IN the brownies, so I decided to add them back on top 🙂 In the form of lots and lots of frosting! Ok, ok, you don’t need to add a ton of frosting I just thought it was fun and it held up those acorn pops quite nicely. 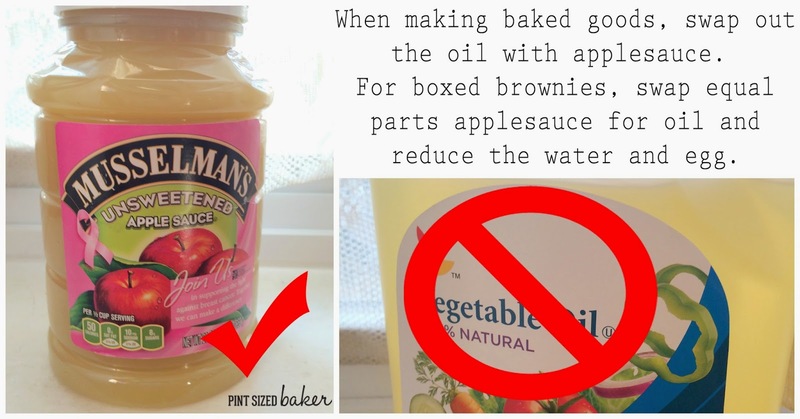 For more information on baking with applesauce, visit Mussleman’s Guide to swapping out the oil for a reduced calorie and lower fat dessert. 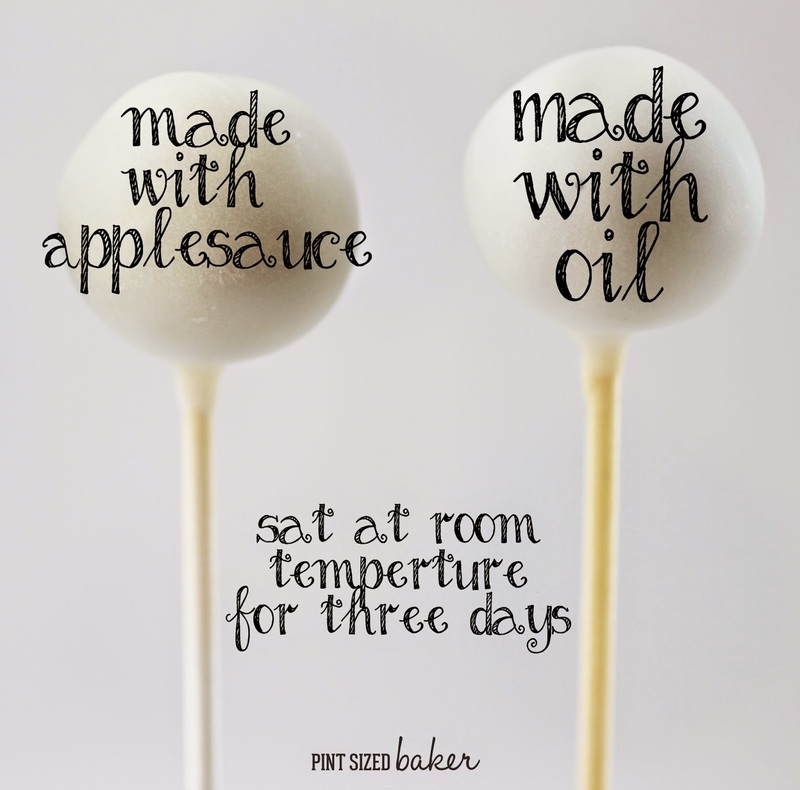 One more note about baking with applesauce – If you regularly make cake pops, you’ve seen yellow sticks. 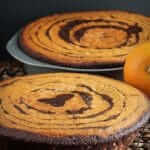 The yellow stick are caused by the oil used in baking your cake. If you replace the oil with applesauce, your yellow stick problem will go away. Mix the brownie mix, unsweetened applesauce, water and egg until combined. Transfer into the brownie pop mold and bake ad directed (350 for 20 minutes). Bake the remainder of the mix in a cupcake pan. 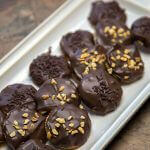 Melt the peanut butter and chocolate candy melts in the microwave following the directions. Do not overheat. Stir the mixture to make sure that it is smooth and completely melted. 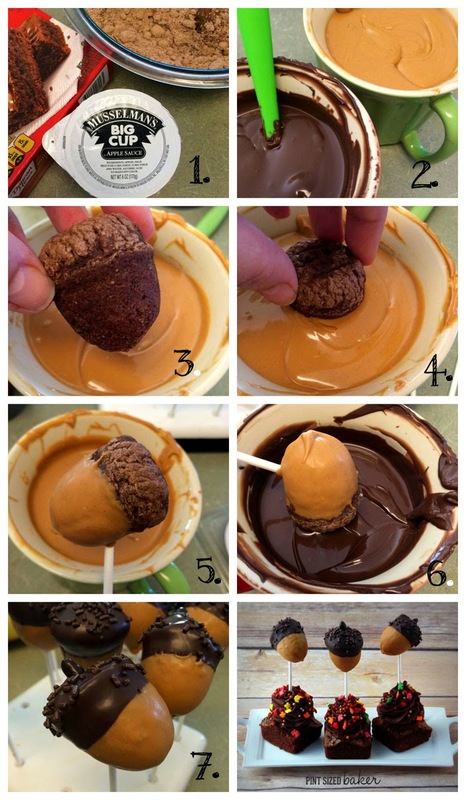 Dip the rounded end of the “pop” into the peanut butter, shake off the excess coating and then insert a lollipop stick either at an angle or right up the middle. Stand the pops up to dry letting the peanut butter harden before dipping it into the chocolate. 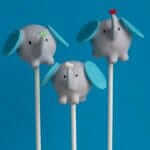 Use the lollipop stick as a handle to dip the top of the acorn into the dark chocolate. 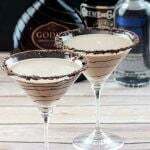 Holding the pop upside down, shake off the excess coating then sprinkle on some chocolate sprinkles and add a little stem. Stand up to dry. Cream the butter in a stand up mixer. Alternate adding the milk and powdered sugar and cocoa powder. 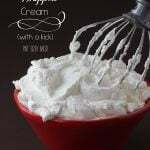 Whip it until it’s smooth and creamy. 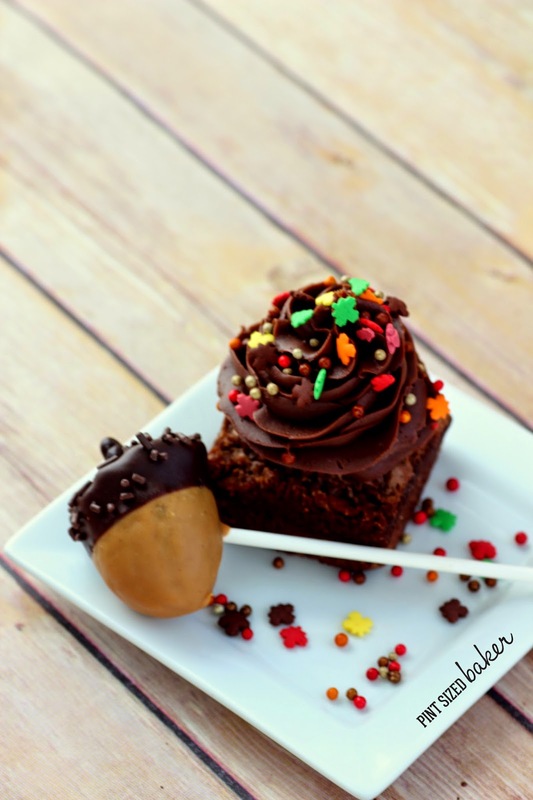 Pipe some on to each brownie, add some festive sprinkles and serve. Refrigerate the frosted brownie 4 hours if you are going to stand the pop in the brownie. 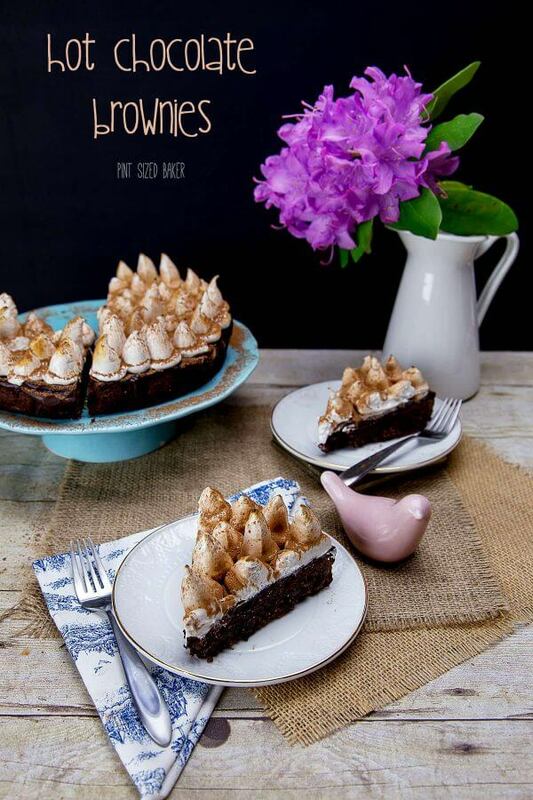 I know you want more Brownie Recipes.